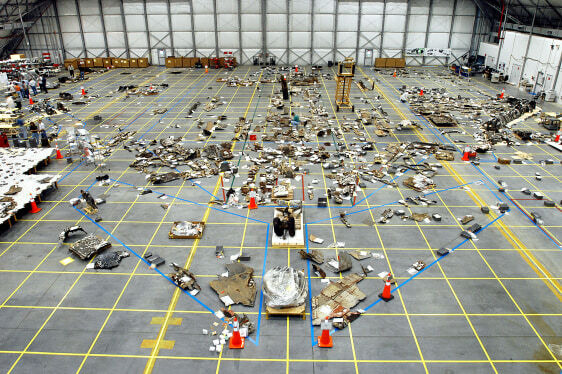 Pieces of Columbia space shuttle debris are seen stored in a hangar at NASA's Kennedy Space Center in Florida during accident investigation in 2003. More than 82,000 pieces of debris from the Feb. 1, 2003 shuttle disaster, which killed seven astronauts, were recovered. In all, 84,800 pounds, or 38 percent of the total dry weight of Columbia, was recovered.